This is an extract from Guy Carpenter's January 2019 retro market update. Clients can request the full report here. For the last five years, convergence capital has grown every year at an average rate of 18%. As recently as Monte Carlo, Baden Baden and SIRC in September/October, industry executives were predicting that convergence capital would triple over the next few years to more than $300 billion. In fact, by January 1 2019, the available capacity of the ‘alternative’ reinsurance market had shrunk. The market remained active despite a level of diminished capital certainty. Risk adjusted, year-on-year catastrophe reinsurance rates were relatively flat; catastrophe bonds behaved as advertised in terms of both risk and liquidity; and innovative, new structures have continued to bring capital closer to the risk in increasingly effective ways. However, the retrocession XoL market experienced a second year of increases – particularly aggregate retro which is most dependent on collateralised capacity. There was also a much higher level of variance between individual renewals as retrocessionairs took care to price for differences in programme structures and cedent performance. This update looks at the causes of this reversal in the growth of AUM. These causes are likely to determine whether this is a temporary glitch in the trajectory of the ILS funds or something more permanent which could begin to affect other parts of the reinsurance market in 2019. A significant number of funds are likely to post losses for a second year in a row. This has an immediate effect on available capacity and could have a longer term effect on the prospects for additional fundraising. Despite the health warning that past performance is no indicator of future returns, a strong track record is important to many investors. 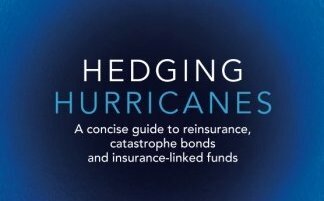 2017 and 2018 followed an improbably benign period for US natural catastrophe losses that flattered returns and disguised the risk that investors were bearing. The Eurekahedge index tracks the returns of a selection of ILS funds. The three year return is negative for the first time since its inception. These results could make fundraising more challenging in 2019 – particularly for funds that underperformed this average. 2017 results were driven by three ‘CNN events’ – hurricanes Harvey, Irma and Maria. These were exactly the kind of modelled, uncorrelated ‘acts of God’ that investors expect to face. The nature of the 2018 losses could be harder for some investors to swallow. Much of 2018 performance was driven by factors less accounted for in modelling the risk including loss deterioration from 2017; wildfire liability; and mark-to-market losses due to the supply/demand dynamics of the catastrophe bond secondary market. For the significant proportion of investors based outside the US, the widening gap between US and Euro interest rates has also started to drag on returns. Communication has also been an issue. Investors have been frustrated by the time that it has taken for accurate loss information to propagate to them from insurers, reinsurers and retrocessionairs. Rising loss estimates from 2017 underscored the importance of adequately reserving for losses which meant that cedents were in no rush to release funds that were supporting 2017 or 2018 events. This trapped collateral created an additional drag on returns. Some investors felt under-educated about this dynamic. In recent years, several reinsurance funds have increased their use of rated paper. Many cedents prefer rated paper compared to collateralised paper (and the associated documentation) additionally, fronting arrangements often allow funds to add leverage that enhances returns (and exacerbates losses). Recent M&A activity looks likely to shrink the availability of third party fronting. Though new options continue to emerge – including single investor, rated vehicles. Outflows themselves can lead to more outflows. If experienced investors draw back from the sector then new investors will have to explain to their investment committees why they know better. Additionally, all types of investor have some expectation of liquidity. At least one ILS fund restricted redemptions in 2017 and this could increase the likelihood of further redemptions. Convergence capital is now at a tipping point – finely balanced between investors that are attracted to reinsurance and those that have found more compelling opportunities. In 2019, the appeal of ‘reinsurance as an asset class’ is vulnerable to both further losses and changes in the relative opportunities in other investable asset classes. A number of large, institutional investors and their consultants have continued to reiterate their strategic, long-term commitment to the sector. Other investors will view the hardening market as an opportunity to allocate more capital having scaled back their allocations in previous years. But others will be put off by recent performance and the relative economics of investing in reinsurance. By the end of 2018, the S&P 500 had had its worse year since the end of the financial crisis (but still seemed fully valued); corporate bonds posted negative returns; and the US yield curve inverted for the first time in ten years. These macroeconomic stress indicators are compounded by an unusually unpredictable political environment in the US and elsewhere. Now that reinsurance is fully entangled with the global investment market, it is likely to be these factors that will determine the future growth – or shrinkage – of the alternative reinsurance market.